Tampa will soon see the construction of its tallest tower in downtown! Riverwalk Place is planned to be 50-plus-stories tall and feature more than 200 luxury condominiums, retail shops, and at least four restaurants along the Riverwalk. 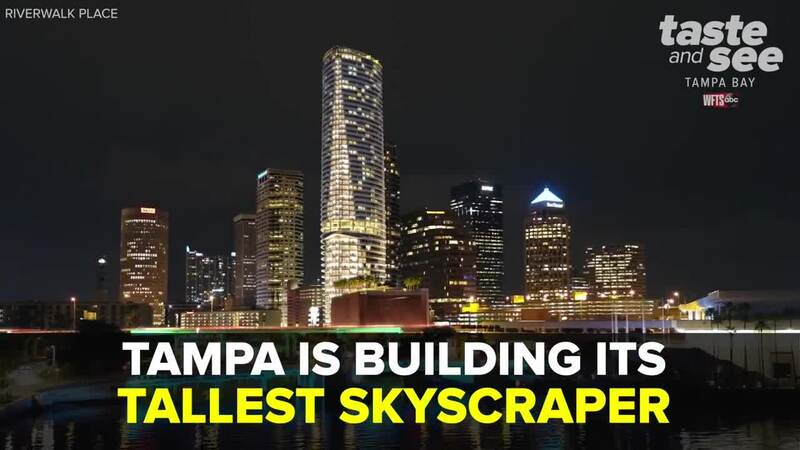 TAMPA, Fla. - Tampa will soon see the construction of its tallest tower in downtown! Riverwalk Place is planned to be 50-plus-stories tall and feature more than 200 luxury condominiums, retail shops, and at least four restaurants along the Riverwalk. The tower will rise at the intersection of Ashley Drive South and Whiting Street West. Construction on the tower is set to begin in early 2019. Riverwalk Place will be the tallest tower along Florida’s Gulf coast. If you're interested in living at Riverwalk Place, visit the sales gallery in downtown Tampa. Prices start at $600,000.